Last week was a really busy week for me, so I didn’t get a lot of work done making pickups. The li’l lady organizes the Mexican Day of the Dead Festival here in town and that pretty much took up all my time. It’s a pretty big event for us and the whole town participates in the festivities. We usually have dancers, food, live music and a lot of art work. 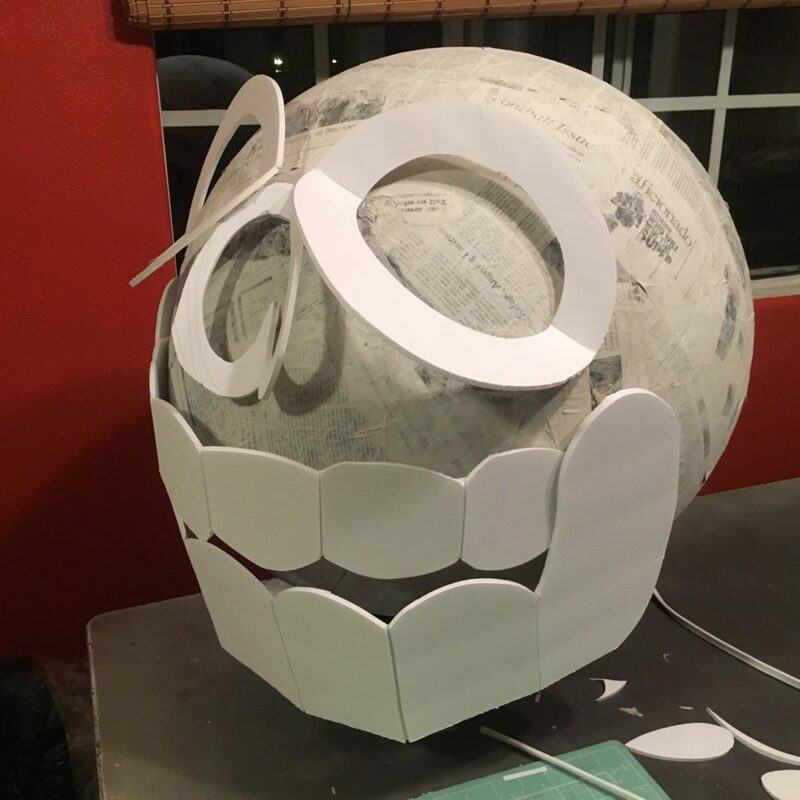 I spent the week working on projects for the event. I made these skulls that we put in the big room where we had the shrines. 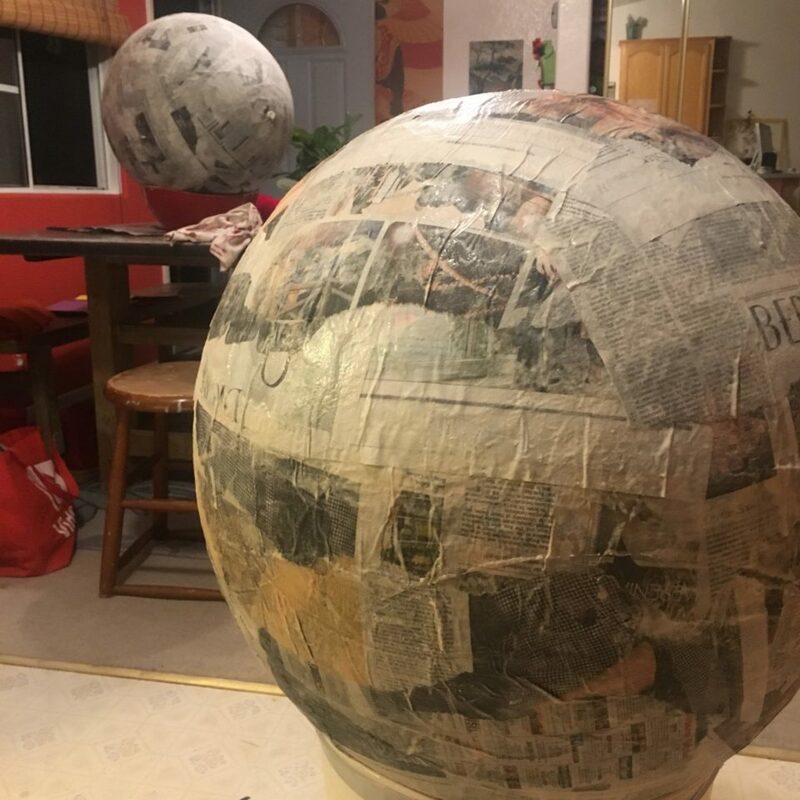 First I took these huge 36″ balloons and covered them with paper mâché. 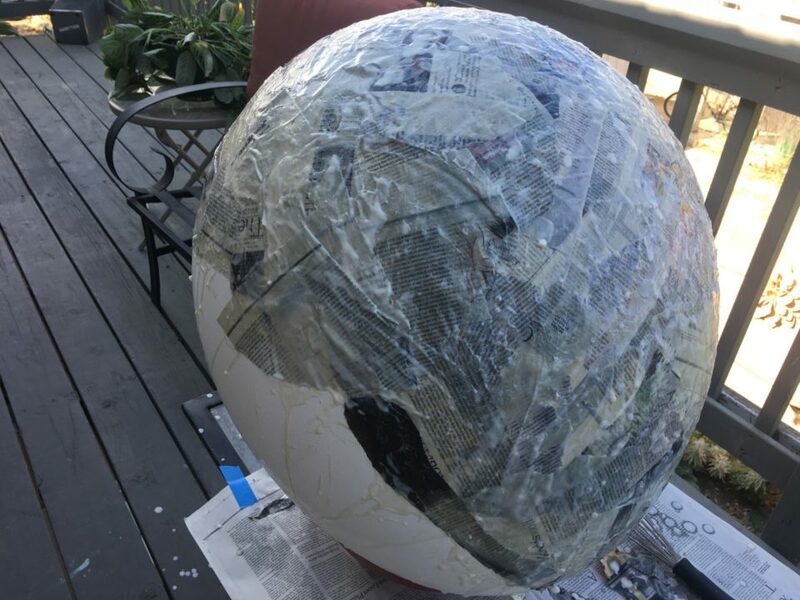 Because they were so large, each one took a long time to cover with paper and took a long time to dry as well. I also wanted to put on as many layers as I could because they needed the extra strength. 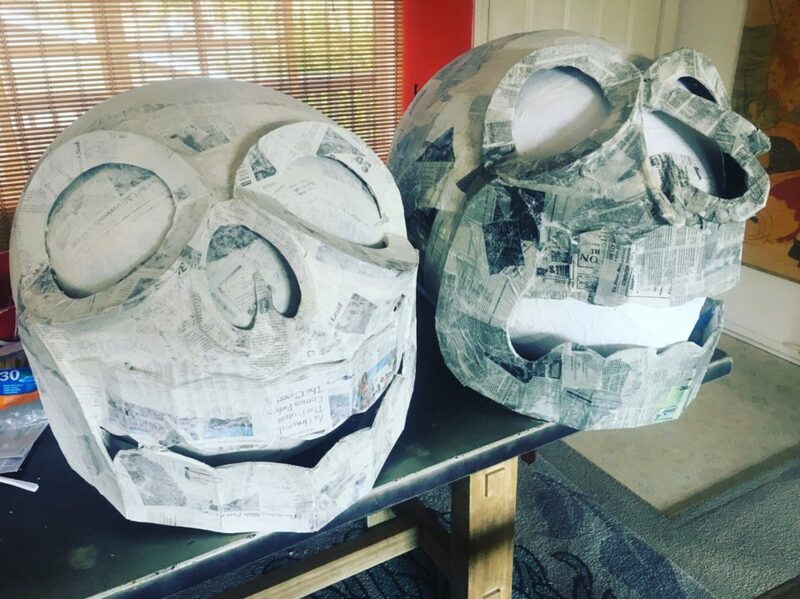 Once they were good and covered, I made their facial features out of foam core. 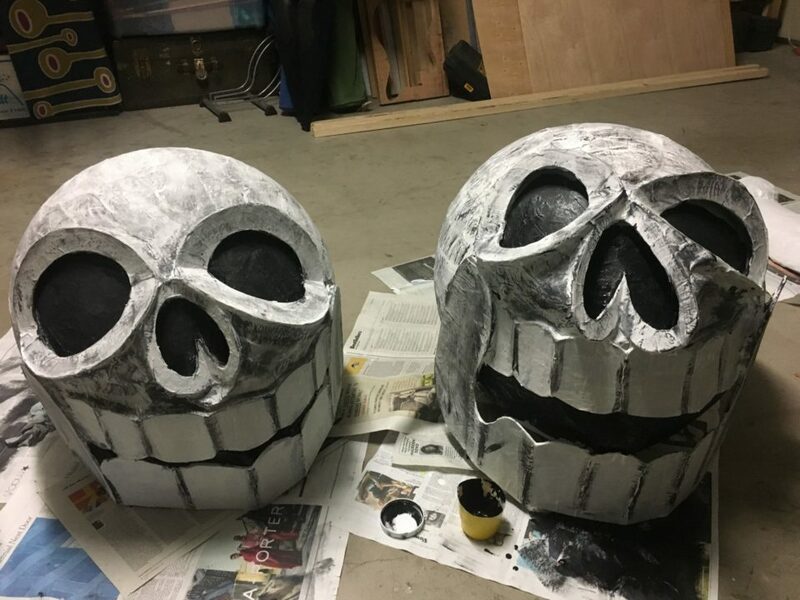 Next I covered the foam board faces with more paper mâché. That was an interesting process to say the least. Once they were dry, I just painted them up. 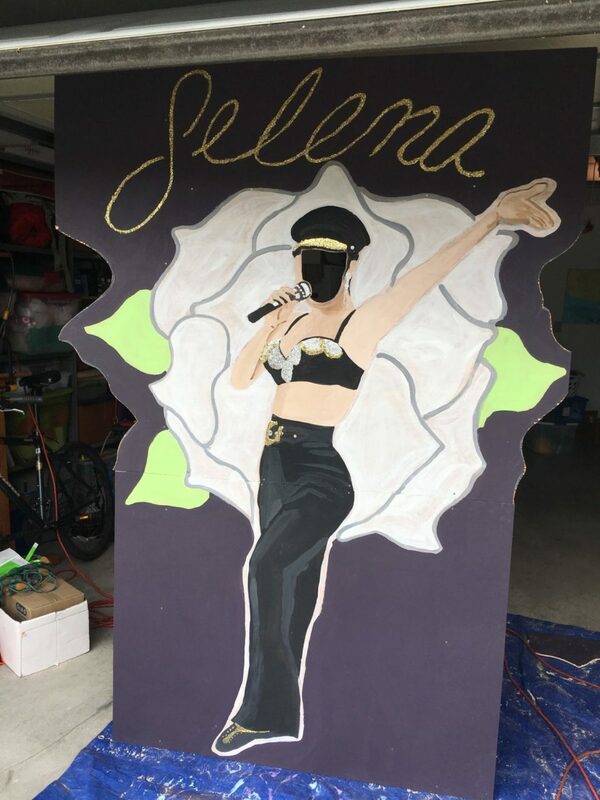 The li’l lady also made a sparkly, life-sized cutout of Selena. I spent an afternoon making the base for her so it would stand up. The funny part is, Selena is usually the most commonplace shrine at these events. I think the li’l lady was just having some fun.